Call Jordan Evans for more information. According to Stoklosa, Patterson, Rosielle, and Arnold (2015), at least 25% of cancer patients and 50% of CHF and COPD patients experience significant anxiety at the end of life. In fact, up to 10% of these patients may qualify for Generalized Anxiety Disorder. Are we assessing and monitoring anxiety? Could untreated anxiety be contributing to uncontrolled pain? How can we better help these patients? -Stoklosa, J., Patterson, K., Rosielle, D., & Arnold, R. (2015, July). Kim Hampton joined our PDCrx family in May as our Customer Service Manager. She brings with her over 20 years of call center and customer service experience. Some of her past accomplishments include the implementation of new call center procedures which transformed her teams and work environments into more efficient and effective workplaces. Using her years of experience and expertise, Kim will be cultivating a PDCrx Customer Service team that will consistently provide excellence and satisfaction. Kim is married and has a son, Bryce, and a daughter, Briahna. Being an animal lover, she has two dogs, two cats, and a mini macaw. In her spare time, she enjoys spending quality time with her family and friends, watching movies, drawing, and doing makeovers. 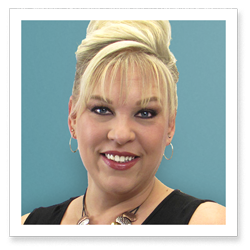 She is excited to use her years of experience to help facilitate future growth of our company! Welcome to the family, Kim!